St., At The Corner Of Odile St. 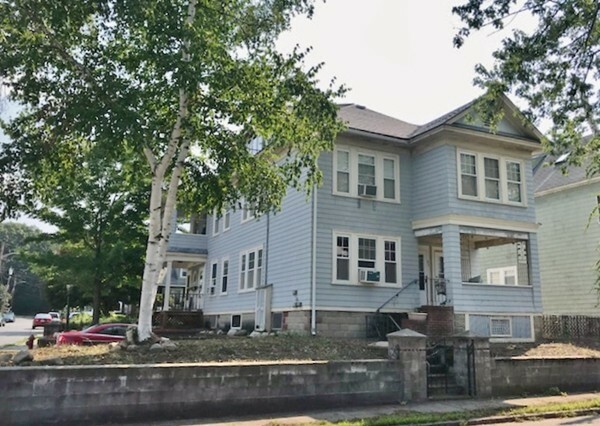 Terrific opportunity for an owner-occupant or savvy investor to purchase a solid 3-family dwelling in a great neighborhood that offers easy access to highways & shopping. 1st floor tenants' unit has a spiral staircase to a finished playroom in the basement. Co-owners live on the 2nd & 3rd floors, so 2nd floor can be vacant at closing. 3rd floor owner would love to stay if possible! 1st & 2nd floors consist of a living room, dining room, eat-in kitchen & pantry, 2 bedrooms, a bath & a laundry room. 2nd floor also sports a really nice sunroom! The 3rd floor has a skylit entry, living room with built-in A/C, big eat-in kitchen, full bath with laundry, and a bedroom with big, double closet & sliders to a balcony. Ample parking with the 3-car garage, plus 3 spaces in front of garage and 3 additional spaces. Front part of roof was reshingled in 2017 and the back portion about 3 years ago. Amenities: D/G replacement windows; C/B's, 100 Amps each; separate updated utilities; walk-out basement.